NOVEMBER 20, 2013 —- Penn Staters for Responsible Stewardship (PS4RS), the grassroots watchdog group that has been critical of the Penn State Board Trustees’ handling of the Jerry Sandusky scandal, applauds a first step towards board reform, in the form of legislation proposed this morning by Senators John Yudichak (D) and Jake Corman (R). 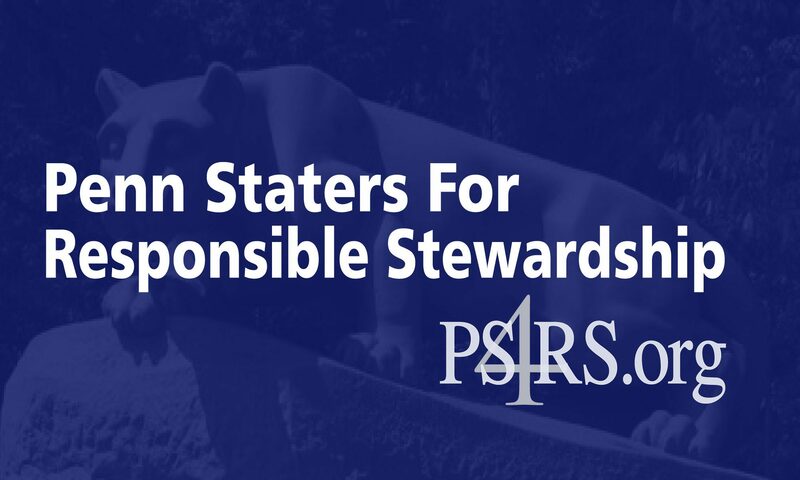 Penn Staters for Responsible Stewardship will endorse three candidates for the upcoming 2014 Board of Trustees election. For further information on PS4RS, please visit http://www.PS4RS.org, email ps4rsinfo@ps4rs.org, or go to http://www.facebook.com/PS4RS. Follow PS4RS on Twitter at @PS4RS.